In this intensive two-day workshop you will be introduced to all the techniques needed to create a bra. 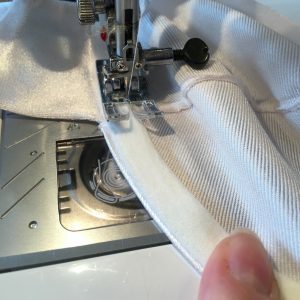 Using stretch fabrics, 1/4 inch seams, getting to grips with rings, slides, and underwires, and working with padding and lace. In the first day you will make a complete bra using a basic commercial pattern. 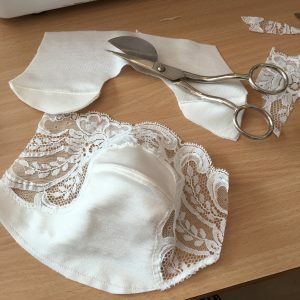 This is an exercise in technique rather than fit, giving you the chance to make a bra from start to finish with the guidance of a tutor. 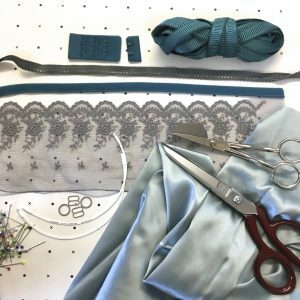 On the second day we will experiment with different styles of bra, and learn how to adapt a pattern to make a full band bra, and add lace details and padding. We will make a range of samples that you can use for reference at home. Every effort will be made to get the right size bra pattern for you, however as many of us are wearing the wrong size, you may need to experiment further and tweak the fit until you reach bra fitting nirvana! All the materials we will use are included in the price of this workshop and you will have the chance to purchase additional materials to take home and make more bras! We will send you an email ahead of this workshop asking you to supply your measurements, this is so that we can prepare your bra making kit in the size that best suits your measurements, ready for you to start on the day. Refreshments are available throughout the day. Please bring your own packed lunch, you are welcome to use the toaster/microwave facilities at the studio.